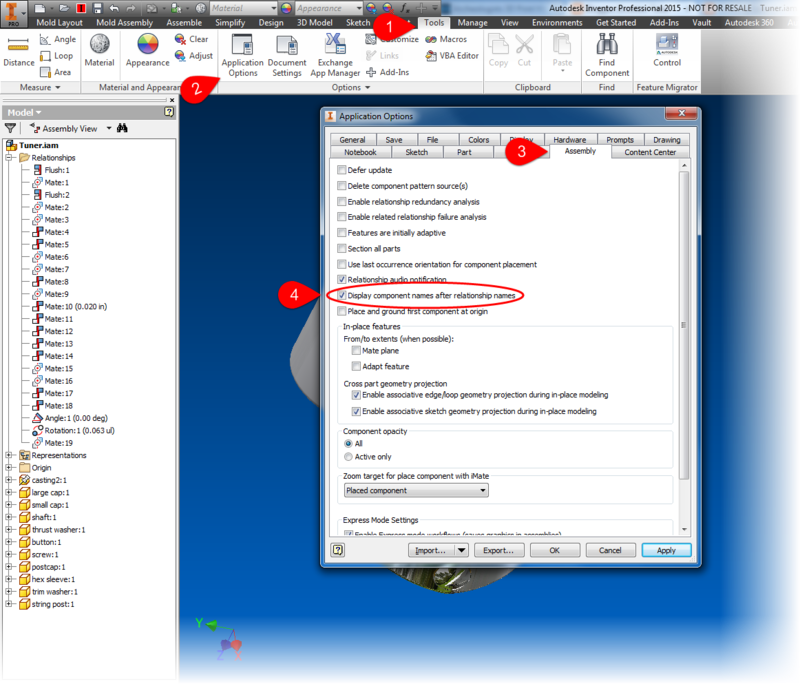 Showing Component Names After Constraints in Autodesk Inventor! - A Nice Little Trick! As many have guessed, I love a simple but effective solution. 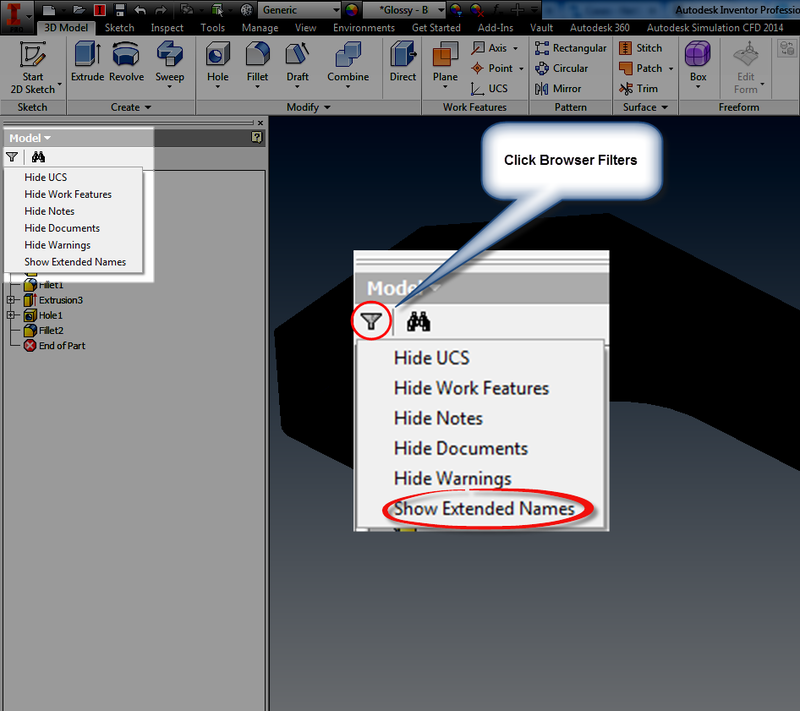 In my post last week, I discussed showing extended file names in Autodesk Inventor's feature browser. Extended names shown in a part. 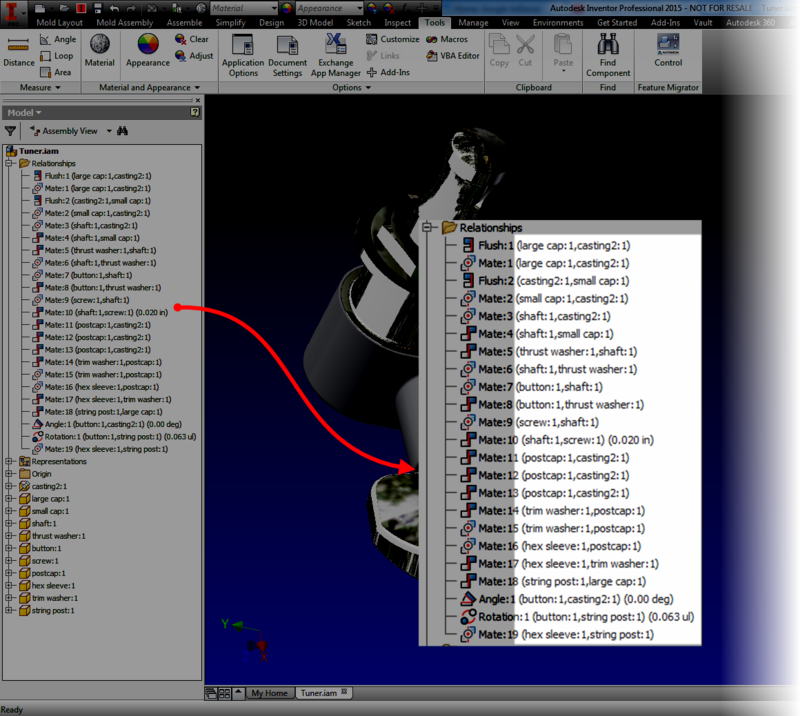 In assemblies, there's a similar functionality inside of assembly files, but here it applies to adding more information to assembly constraints. This option will show which components a constraint is acted on, right next to the constraint! But why talk about it, when a few simple screen captures can show it all! Let's see how to turn that function on. I'm going to start with a baseline. Expanding the Relationships folder, the default behavior can be seen. The type of constraint, and offset can be seen.. I'm going to add the component names to the end of the relationships. This setting is located in Tools>Application Options. On the Assembly tab, make sure the "Display component name after relationship names" option is checked. Once this option is checked, click OK to close the dialog box. Now take a look! 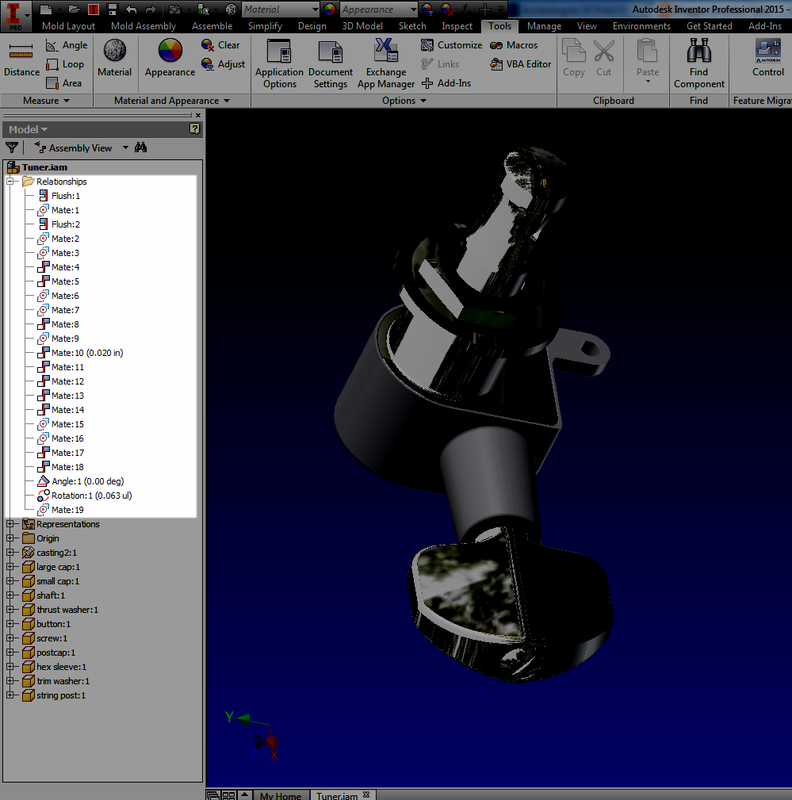 The component names are displayed after the constraints. Now, there's an another option to viewing components behind constraints! So take a look at this setting and see how it can work for you! Waaaaay back when in 2005, I bought myself my brand spanking new Chevy Colorado. Since then, we've spent over 130,000 miles together. Of course, the dealer made sure to point out the cool features the truck had when I was looking at it. They pointed out the 6 CD changer, the power this, that and the other, the push button 4 wheel drive. All features that I've come to appreciate in my loyal Ruby Red Chariot of Justice! But sometimes there's that peculiar, but really nice, feature. The one nobody thinks to mention. The one that ends up being that little thing that you come to appreciate having. 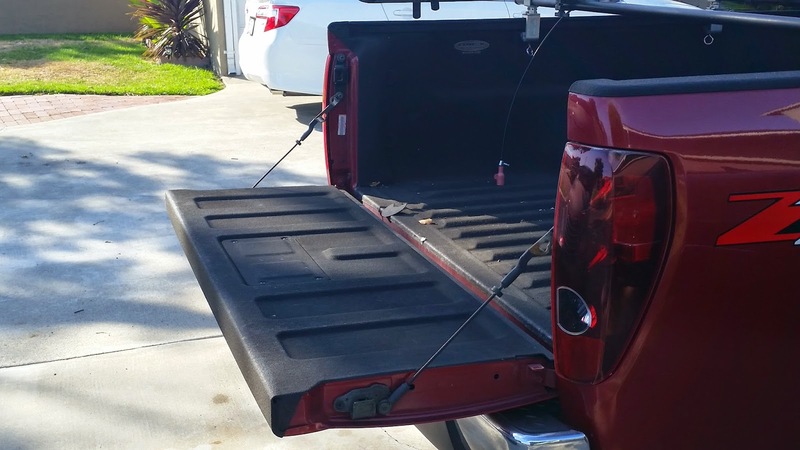 For my little Colorado, it's the "two position tailgate". 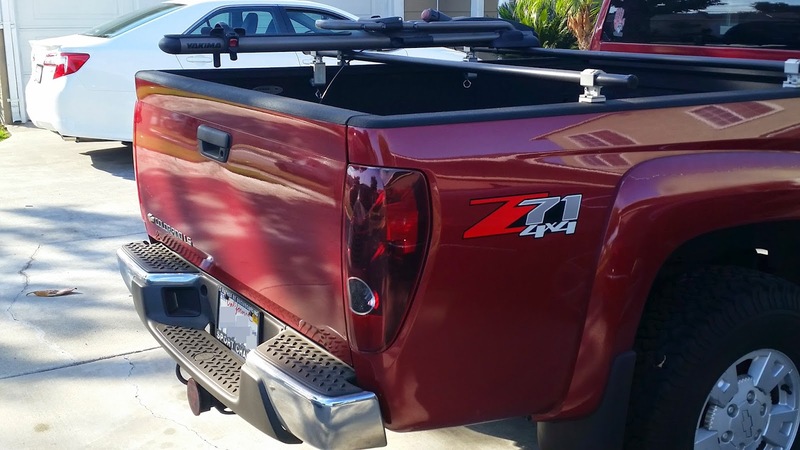 It's nothing more than an extra set of mounting hangars that allow the tailgate to rest partially open. It's simple, it's not flashy, but there have been times when I've needed an extra few inches in the bed, or when I don't want something resting flat in the bed, and this feature has been ideal when I've needed it. Simple, effective. I can appreciate that! 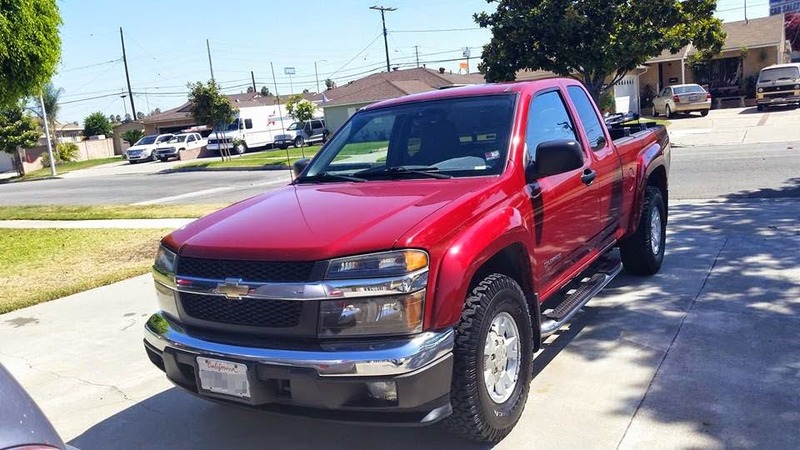 But I didn't start this post to brag about my 10 year old truck. I'm posting because I want to post about a feature in Inventor that I would place in the same category as my two position tailgate. It's called Show Extended Names, and what it does, is very useful, at least I think so! First, I'm going to show what an Inventor Browser looks like by default. This is it's as installed configuration. It's pretty nice. It tells you what features were used to build the part, and in what order they were used in. It gives a way to edit and change sketches and features and modify the parts. But it can do even more. To get to the "feature behind the curtain", I'm going to choose my browser filters, and make sure Show Extended Names is checked. Once this option is selected, look what happens! More information is added. 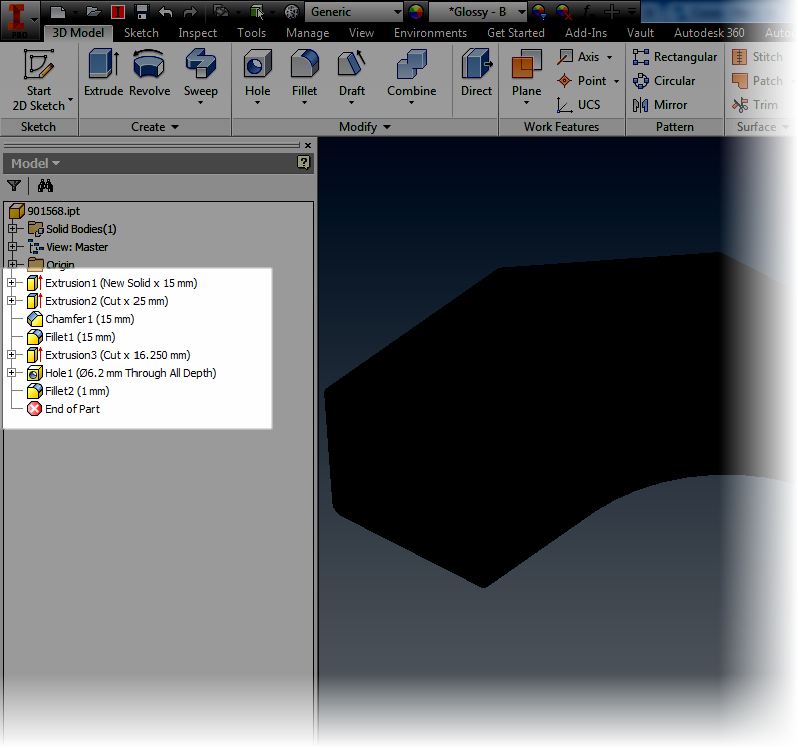 Now I can see that an Extrude is a Join, Cut, and so on. 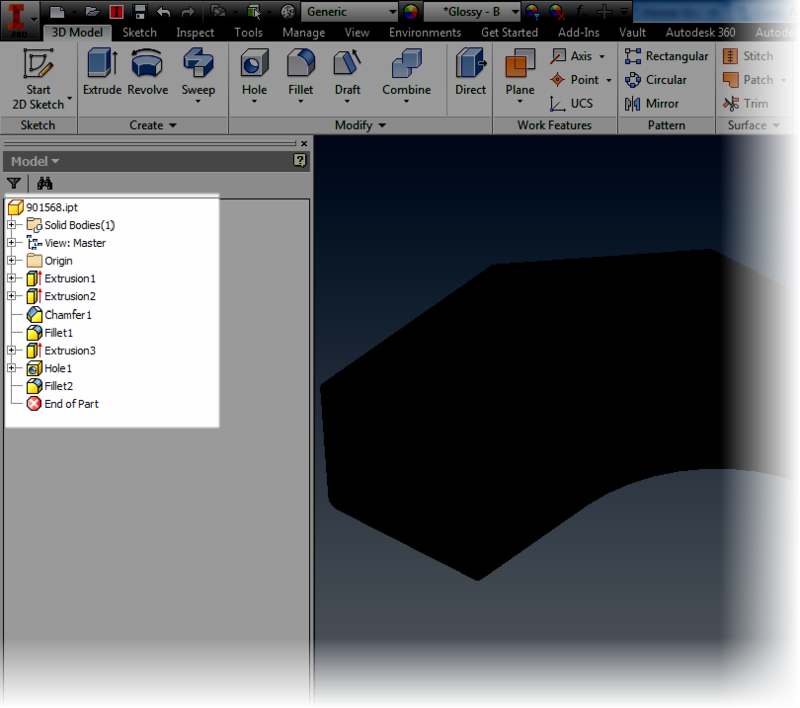 I can see the radius of a fillet, and the types of hole placed, among other things. It's a simple thing, but something that's very effective. So take a look at it, and see what you think! 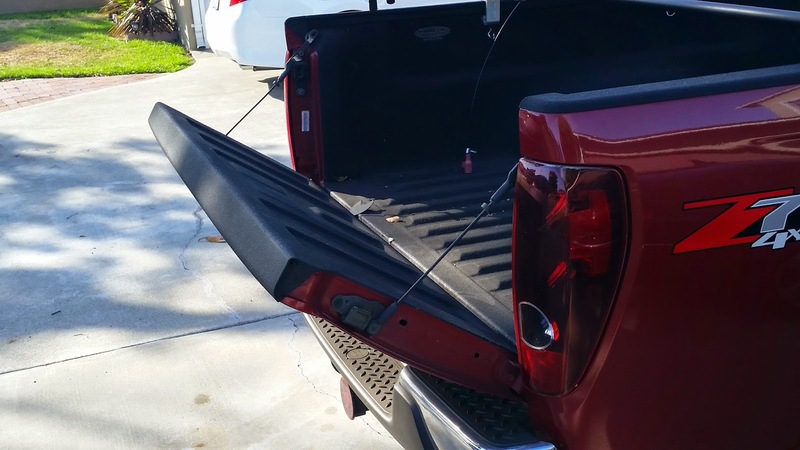 For me at least, it was just like that two position tailgate, a nice little feature that I like making use of!